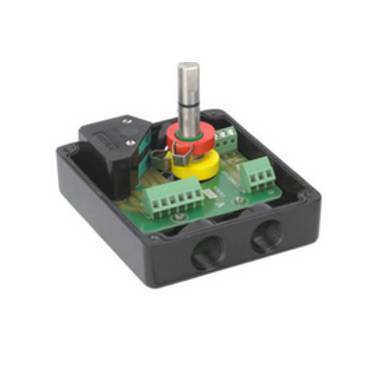 -P&F flat type inductive proximity sensor (EExia). -Up to maximum 2 sensor elements. -resistance, Poly carbonate Dome , Shatterproof. -Easily settable colored coded cam. -Cable entries M20x1.5, (3/4)" ET, (1/2)" NPT. -Complies to NAMUR mounting standards. -Customer can choose any flat V3 proximity swtich. -Additional mounting holes as per UNC . -Stainless steel Bracket available as option . -Switch box conforms to UL 508, UL file no. E249752. Features & Specification :-Max Current Permissible 5 Amps.-Aluminum Die Cast, Powder Coated For ..